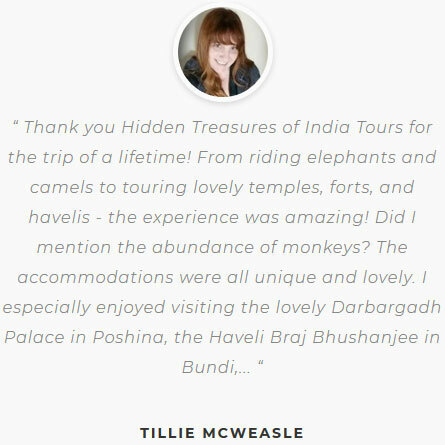 Odisha has a rich tribal culture and magnificent ancient Hindu Temples and Buddhist caves. 13th Century Konark Sun Temple has featured in many lists as Seven Wonders of India. Built in a shape of enormous chariot, has intricately carved wheels of stone, walls and pillars. More than 62 tribal groups reside in Odisha and they are unlike to each other in terms of tradition, culture and dresses. They have their unique dances and primitive way to lead the life. Walking through the tribal haats and interacting with Bonda tribal women and buying the local stuff from Gadaba tribal ladies or simply smiling with Dongriya Kondh tribes will make the trip truly memorable. Chhattisgarh has striking natural diversity, ancient monuments, rich cultural tradition, rare wildlife, splendid waterfalls and carved exquisite temples. 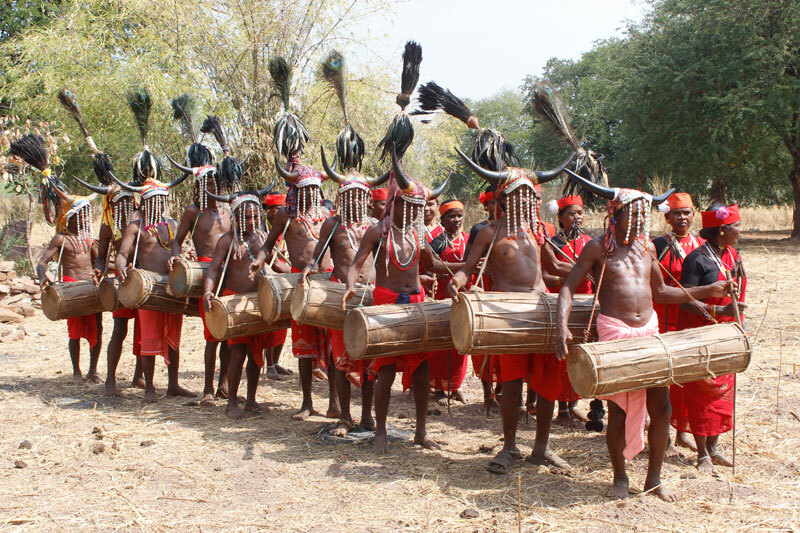 Bastar region has remarkable tribal culture and exceptionally hospitable people. There are various weekly markets to explore the lifestyle of these indigenous people. Watching Bison Horn Maria Dance and performance by young Muria tribes in Ghotul is always an unforgettable experience. Chitrakut Waterfalls is known as Niagara of East, the Specialty of the waterfalls is that it changes its color in different seasons. On your arrival at international terminal in Delhi our representative will receive you, after extending the warm traditional welcome, he will transfer to the hotel in a comfortable vehicle. In the morning, fly to Bhubaneshwar- the capital city of Odisha. 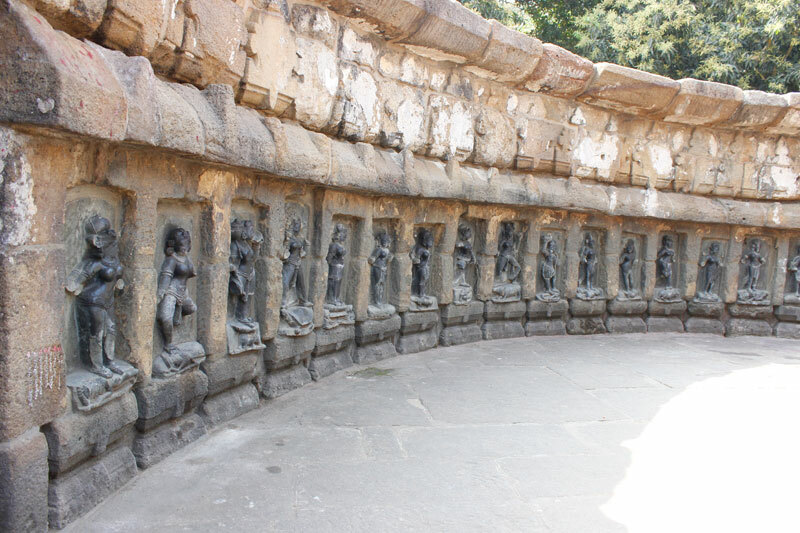 Bhubaneshwar holds religious importance as it displays momentous sacred cultural landscapes and monuments. On arrival, check in to the hotel. Bhubaneswar is known as “The Temple City of India” and here you will visit various famous temples. Parasurameswara Temple is one of the oldest temples in Bhubaneshwar that is filled with beautifully carved sculptures. One of the gems of ancient Odisha architecture, the Mukteshwar Temple is a portrait of serenity and calmness. The temple complex houses various shrines that are filled with intricate carving works. Positioned in the middle of manicured lawns, the Rajarani temple is also known as Indreshwar temple. The temple got its name Rajarani after the unique sandstone, Rajarani that was used to construct the temple. 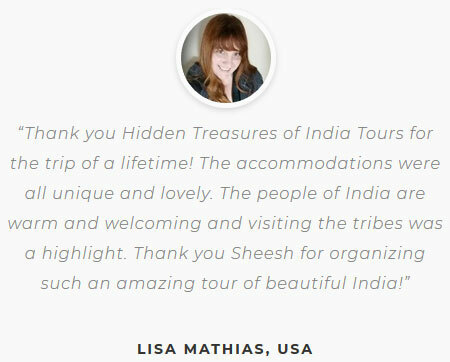 Afterwards, visit 2nd century caves in Khandagiri and Udaygiri region. These partially natural and partially artificial caves hold historical, archaeological and religious importance. Built during the reign of King Kharavela the caves served as the abode of Jaina ascetics. Come back to the hotel for overnight stay. After breakfast, visit Lingaraja temple from outside platform to take the pictures. Situated in the center of the city, the Lingaraja Temple is around 1000 years old temple, which is dedicated to Lord Shiva. 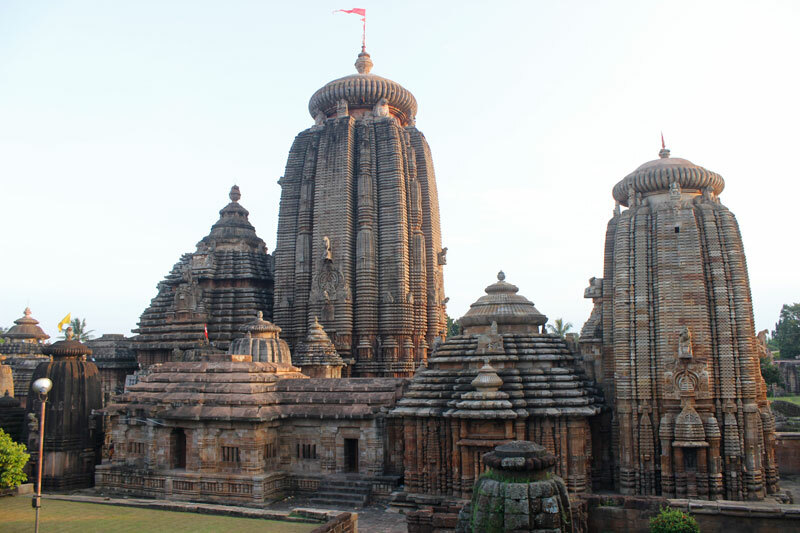 The architecture of the temple depicts typical Kalinga style with a curved tower. Then, drive to one of the auspicious place in India- Puri. En-route visit 64 Yogini temple, the temple is a tantric temple where worship of Bhumandala (05 elements of life) is performed. As per local belief, Goddess Durga has taken the appearance of 64 demi-goddesses to conquer a demon. After the fight, Goddess Durga commemorated those 64 Joginis (goddesses) in the figure of a temple. Later visit Dauli Buddhist Stupa and Raghurajpur Artistic Villages to know about the culture and tradition of local people along with taking the pleasure of scenic beauties of surrounding areas. Continue your drive to Puri, on arrival check-in to the hotel for overnight stay. After breakfast start off your day tour by visiting well-known Konark Sun Temple. 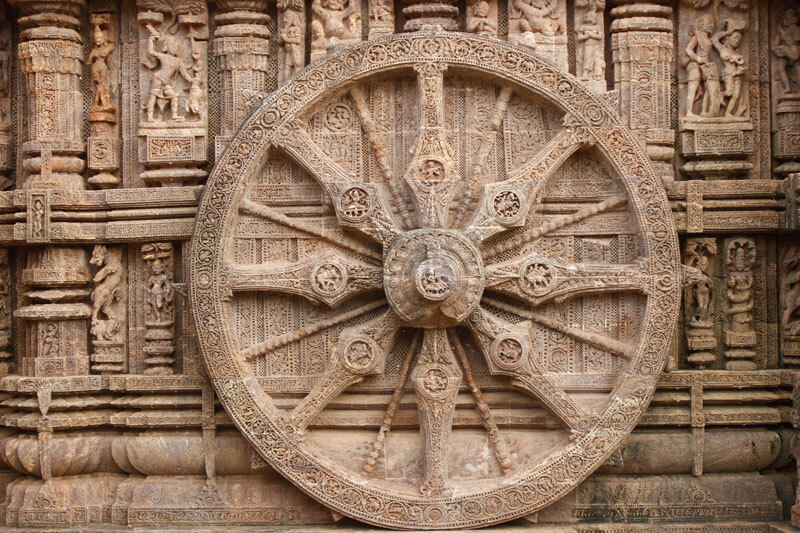 The Konark Sun Temple is one of the UNESCO World Heritage Sites and the leading attraction of Odisha. 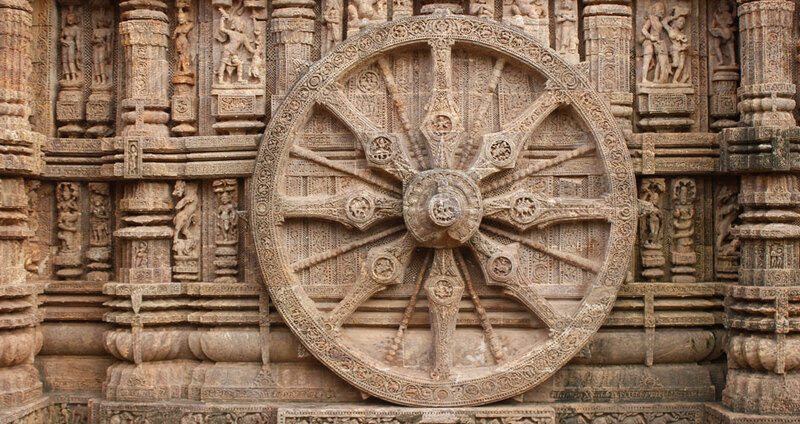 Built in 13th century Sun Konark Temple is credited to king Narasimhadeva-I and is dedicated to Hindu God Surya (Sun God) known as one of Seven Wonders of India. 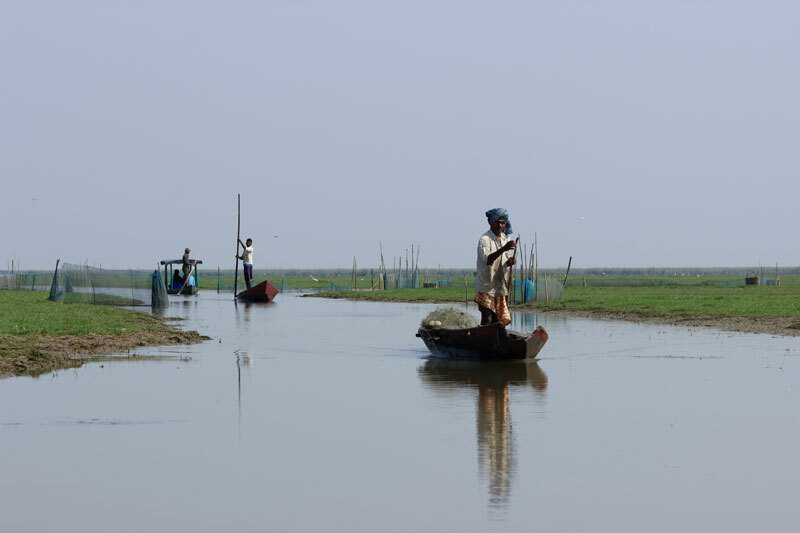 Later, visit fishermen village to get the insight of fishing communities of Odisha. Post lunch, stroll around the markets of Puri where you can buy local art pieces as a souvenir of the trip. Walk through the streets of Jagannath Temple where you can get sacred feelings. Dedicated to Lord Jagannath (one of the forms of Lord Vishnu) the temple is one of the holiest Hindu Temples in India. The temple is also renowned for its yearly Chariot Festival (Rath Jatra) celebrated in monsoon months. Have breakfast and transfer to Gopalpur On Sea en-route visiting Chilka Lake (brackish water body) to see the migratory birds via ferryboat as well as some lakeside Fishermen villages. Finally reach to Gopalpur and check in to the luxury beach resort and relax at the splendid beaches. Here, you can photograph the beautiful women of Odisha walking near the beaches wearing the local dresses. Today, post breakfast proceed to Rayagada, en route visit Taptapani hot sulfur water spring. Hot water of natural spring of Taptapani attributes various medicinal properties. 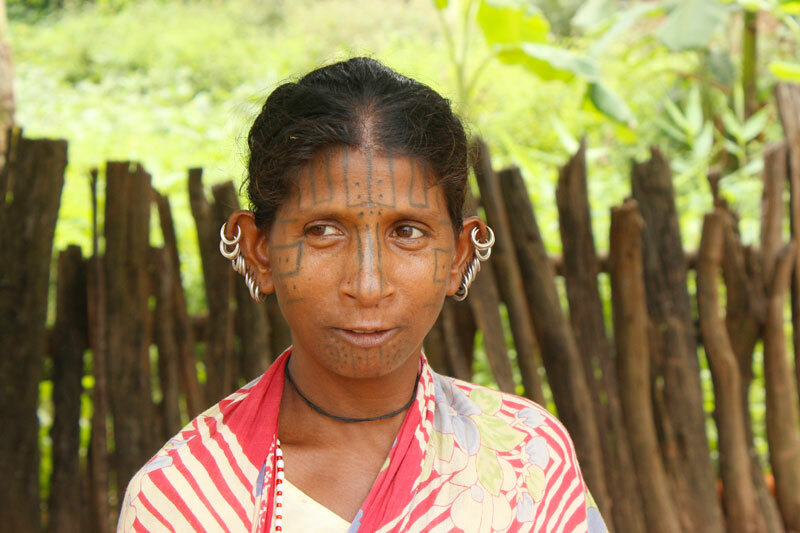 On the way, visit Tattooed faced Desia Kondh Tribes; they speak Dravidian dialects and wear colorful nose-rings. 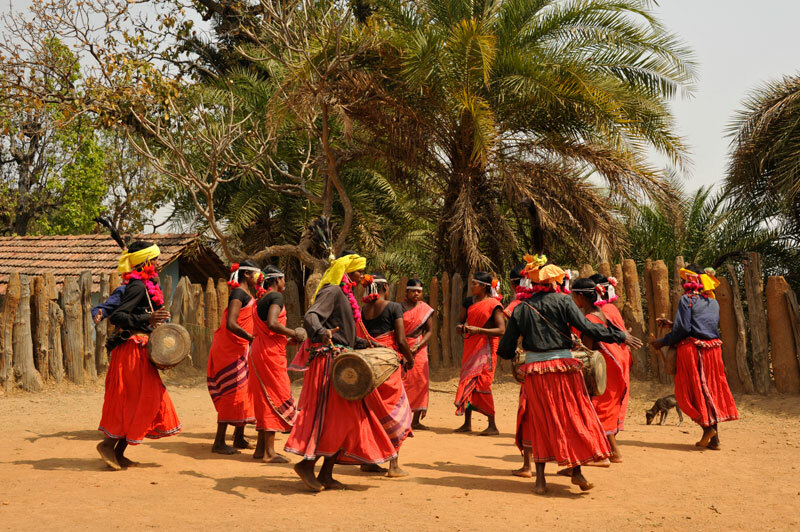 Also stop at Saora tribal villages to witness the local culture and surrounding landscapes. On arrival to Rayagada check-in to the hotel for overnight stay. After having breakfast, leave to Kotagarh for full day excursion to Tuesday weekly tribal market of Kutia Kondh Tribe. We will also walk through their villages to get the close look of their primitive lifestyle. 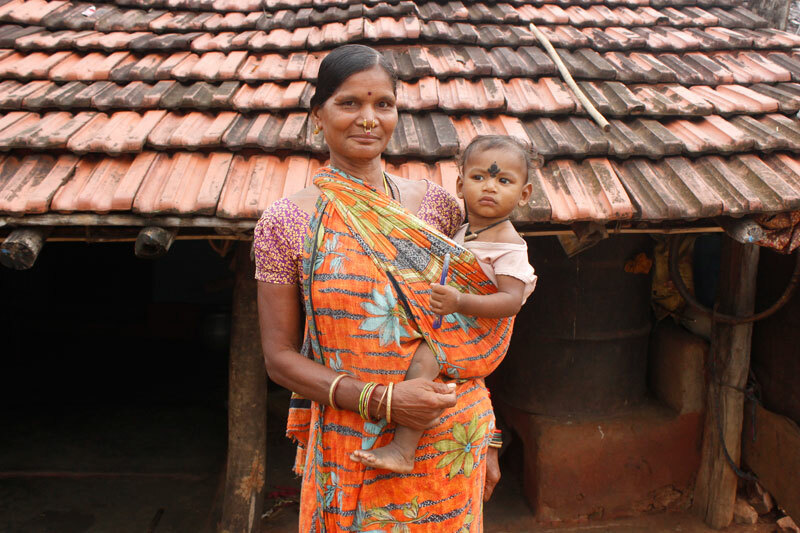 Kutia Kondh Tribe is a Dravidian-speaking tribe that is traditionally hunter-gatherer. Kutia women have tattooed face, multiple nose-rings and earrings. They used to follow the human sacrifice ritual in olden times but now not following this traditional anymore. Enjoy the picnic lunch at a picturesque rural location of Odisha. Return to the hotel by the evening. Dinner and stay at Rayagada. Have breakfast in Rayagada hotel and proceed to visit the weekly market of Dongria Kondh at Chatikona on Wednesday. In Kondh tribes – Dongria Kondhs are the most primitive one, they live on the mountains and spend a very simple life. Dongria people walk down from the hills in the market and sell their agricultural and dairy products and in return buy some household stuff. 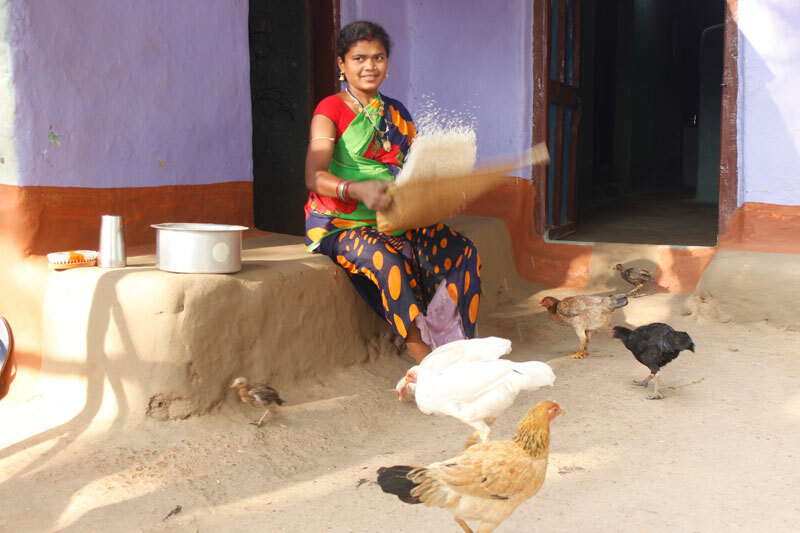 Dongria tribal ladies are normally very shy and hardly interact with the outside visitors. After finishing lunch drive further to Jeypore, on the way stop at the villages of Mali tribe and Muniaka Kondh tribal villages. After early breakfast proceed to the weekly market in Onukudelli Village to witness the most primitive tribe people of Odisha as Gadaba and Bonda tribes. 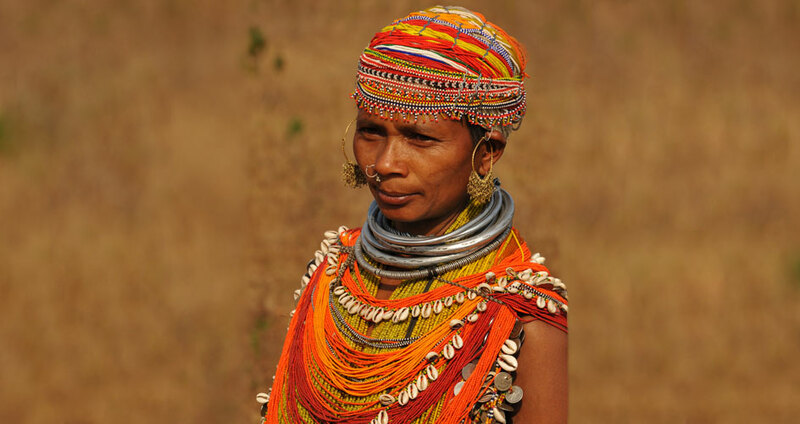 Bonda Tribes live up in the hills and the ladies wear layers of necklaces made of silver as well as huge earrings. The upper part of their body is covered by yellow bead strings whereas they cover their waist with a blue colored cloth. Afterwards, we will stop for few minutes to appreciate the natural beauty of Duduma Waterfalls and surrounding valley. 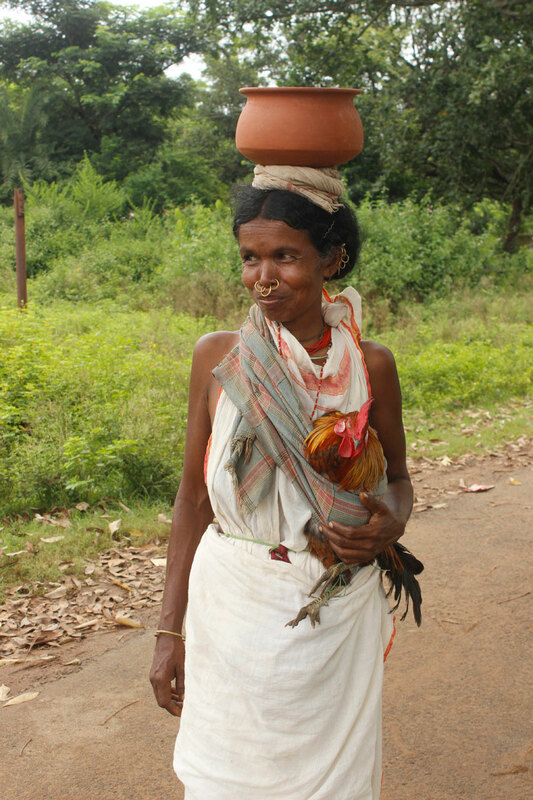 Next, visit some villages of Olar Gadaba tribe – yet another beautiful ethnic group of Odisha. 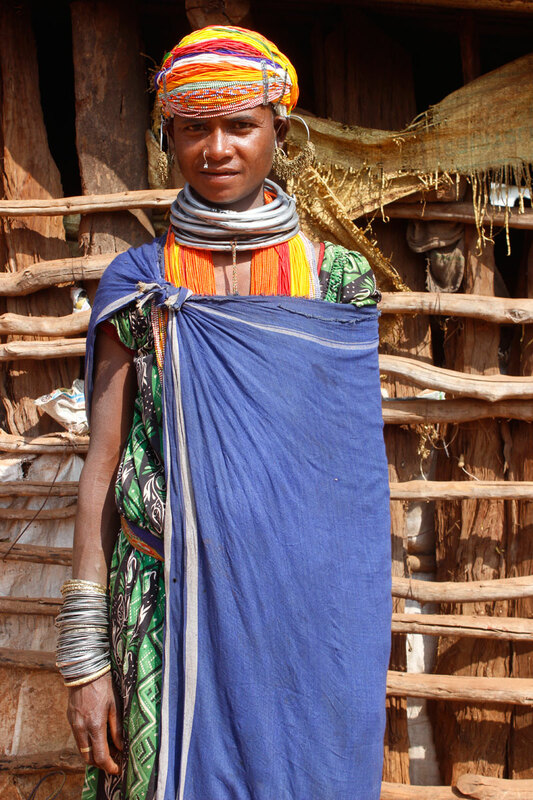 The older ladies in Gadaba Tribe wear huge metal necklaces. In the morning, visit Jagannath temple in Koraput. Jagannath temple is created by the tribal culture that follows no antagonism against any caste, religion or creed. Later, visit the colourful market of Paraja and Mali tribe and see the beautifully designed craft pieces. The Paraja and Mali tribe mostly live in close synchronisation with nature. In the afternoon, continue your drive to Jagdalpur in Bastar region, en-route visit Kotpad weaving village, which is famous for Handloom fabric. Kotpad Handloom fabric is a vegetable-dyed fabric made by local tribal weavers in which typical Buties/ motifs and Scolrfs are all painted and dyed with organic colours. If time permits, visit the Dhurwa tribal market where various fruits, vegetables and other items are sold. Today, drive to the villages of Bison-Horn-Maria tribe post breakfast. They are very famous for their culture, dances and wonderful hospitality. 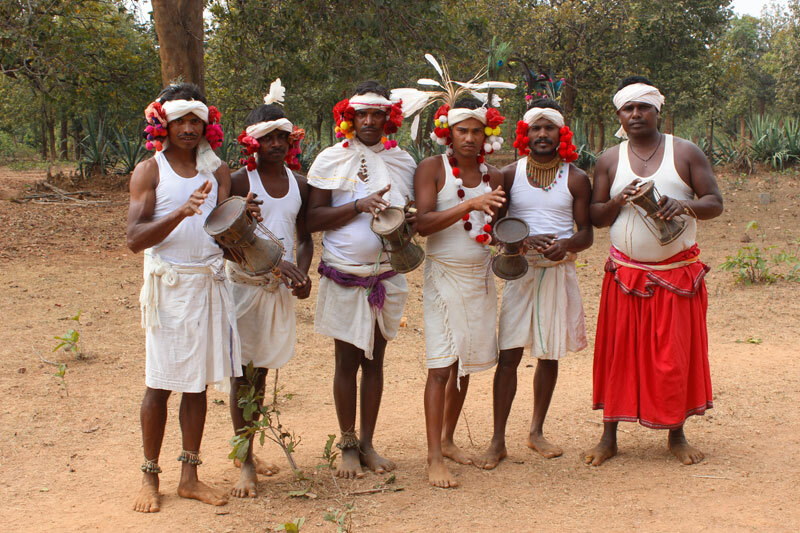 Enjoy Bison-Horn-Maria dance performance in their village – this is probably the most popular dance of Bastar region. 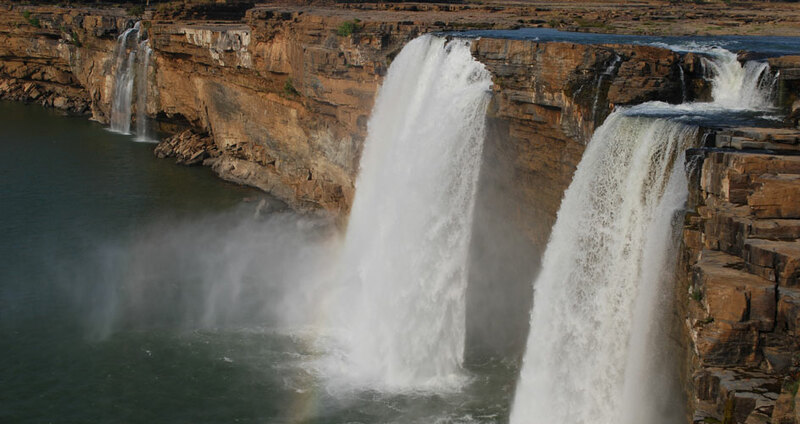 After enjoying cultural music and dance performances, visit spectacular Chitrakote Waterfalls situated on the Indravati River, Chitrakote Waterfalls is also referred as the Niagara Falls of India and is one of the best natural sites in Bastar. You can witness the mesmerizing sunset view at the fall site. Return back to the resort by the evening. 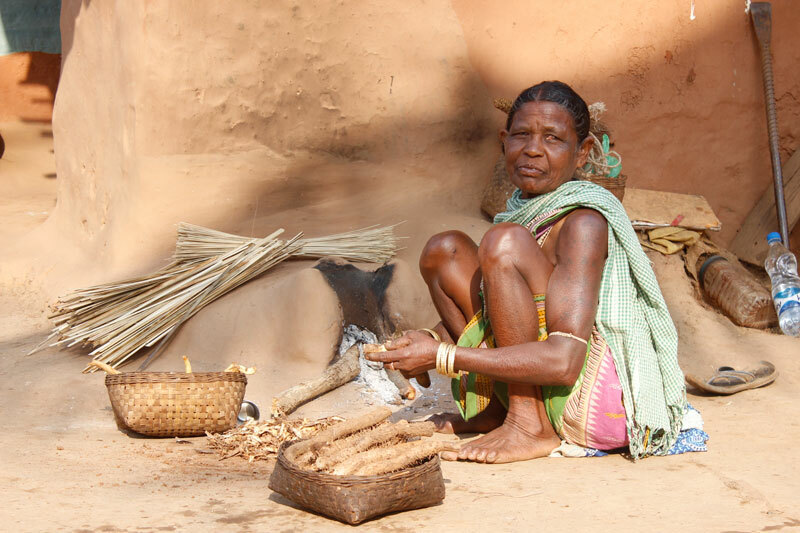 After breakfast, visit some tribal villages of Bhatra tribe located near to our resort. Later, proceed to Kanker and en-route visit the house of the famous Dhokra Art specialist at Kondagaon. These villages are famous for a varied style of craftwork such as bell metal handicraft known as Dokra. Other famous craftworks of the region are terracotta and wrought iron crafts. Later, visit Halba and Bhatra Tribal Market to see the craft items that are made by local craftsmen. Finally arrive at Kanker Palace and enjoy the fantastic hospitality of the royal family. Today, visit villages of Muria tribe known for their incredible hospitality and handicraft products. Later visit few more tribal villages around Kanker such as to see the culture and lifestyle of Gond and Muria tribal communities. Here you can also get a chance to see tribal social institution named as Ghotul belonging to Abujh Maria and Muria tribe. Ghotul institution used to be a dormitory in the village where boys and girls from the Muria tribe lived-in together prior to their marriage and were allowed to have sexual intercourses too. Later, enjoy their captivating Ghotul Dance, they perform various dances and musical performances in Ghotul like Mandri, Gedi and Hulki Dance. Enjoy the picnic lunch under the village tree and return back the palace in Kanker. After breakfast drive to Raipur airport to embark the flight to Delhi and from Delhi fly back to home. Today your incredible tour of Odisha and Chattishgarh ends. It is one of the most impressive tribal dances in India. 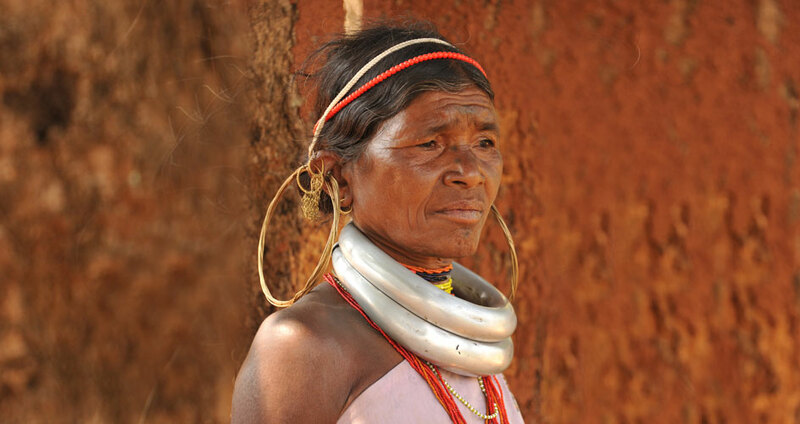 Bison Horn Maria is a very distinctive tribal community living in Bastar region of Chhattisgarh. The men have a ponytail hairstyle, which is typical feature in this tribe. The ladies only wear white skirt and the rest of the part remains bare but they adorn different types of jewelry. They have a great love for Landa – rice beer and drink it in all celebrations and festivals. 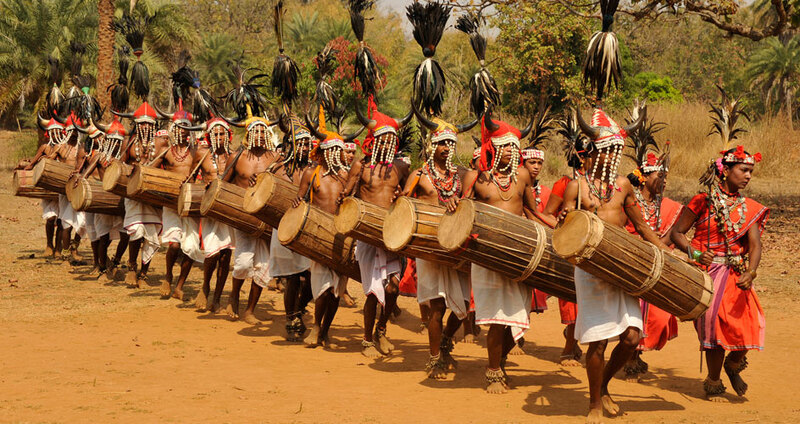 They dance in a group so passionately and use tribal musical instruments. 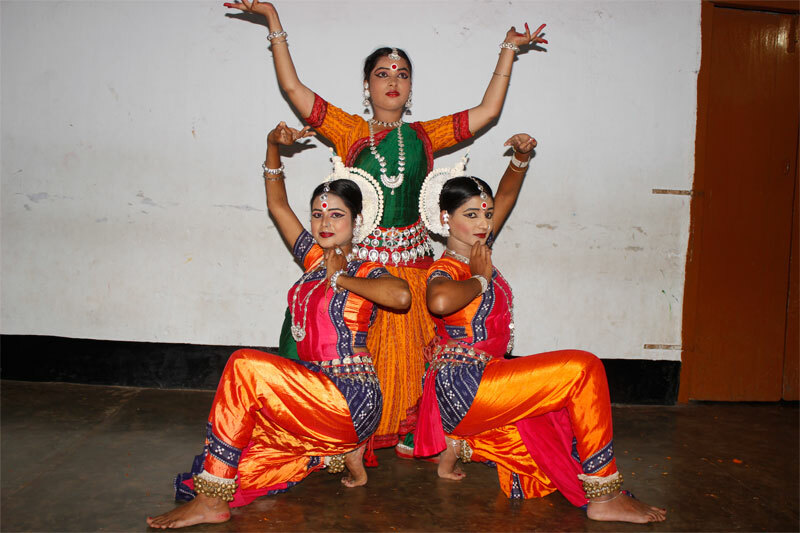 Odissi or Orissi is one of the oldest classical dances of India originated from the temples of Odisha. In this performance, the musicians and dancer play a mythological story, devotional poem or a spiritual message from holy texts of Hinduism using symbolic outfits, expressions, body movement and gestures. Odissi has impressive footwork (Lower), torso (Mid), hand and head (Upper) as all 03 sources to perfect the expressions. The dancers wear colorful dress, jewelry and apply elegant makeup. The sari of the lady is vibrantly colored and is made of local silk, she has a tikka on her forehead and apply black eyeliner called Kajal in the eyes. She has beautiful earrings and neck is adorned by necklace. The wrists are full of bangles, in the waist an elaborate belt and in the ankles a piece of leather with bells.